With over 20 million people, Florida is the third most populous state in the country. As such, its roadways see a lot of use. With all those vehicles on the roadways, accidents are bound to occur. 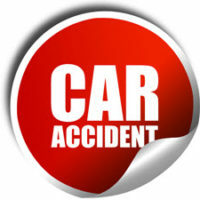 Unfortunately, when an accident occurs, there is a chance of injury. Further, if someone else is responsible for a victim’s injuries, then it falls on the victim to attempt to obtain reimbursement for any costs incurred in recovering from the injuries. In some cases, it may be necessary to obtain the services of an attorney experienced in automobile accidents to obtain this recovery. Recently, a Melbourne man drove through an intersection at over 100 mph and collided with two vehicles, causing the death of one person, and critically injuring another. A discussion of Florida’s No-Fault Insurance Law, as well as the situations in which an individual can bring an action against a motorist for injuries suffered in an automobile accident, above and beyond the limits of the No-Fault Insurance Law, will follow below. In an attempt to reduce litigation, the Florida Legislature passed a “No-Fault Insurance” law, in which each motorist is required, after an automobile accident, to seek payout from his/her own insurer if you are in an accident, regardless of who is at fault. The reduction in litigation comes from providing an effective guarantee of some degree of compensation regardless of fault. In reality, however, the payout limits of an individual’s insurance policy are relatively low, and do not come close to covering the costs of the typical automobile accident related injury. What to do if Expenses are Above and Beyond the No-Fault Insurance Payout? In many cases, the payout from an individual’s No-Fault Insurance policy will not cover the total cost of his/her injuries. In such cases, the victim will need to sue to obtain reimbursement for the costs above and beyond the payout. An experienced automobile accident attorney can help best strategize how to achieve this outcome. Unfortunately, Florida law does not specifically define each of these categories. Consequently, with the exception of death, whether a particular injury fits within one or more of these categories to be considered serious is a determination for the judge to make, and an experienced automobile accident attorney can help to persuade the judge that one of these injuries was, in fact, sustained. Despite the absence of a statutory definition, cases in Florida courts have provided some guidance on what qualifies as a serious injury. For example, an injury that causes a significant loss of a bodily function, such as a broken leg with regard to walking or standing, will most likely qualify, whereas a bruised shin will not. Likewise, a scar within the hairline may not qualify as serious, as it is not visible to the general public, whereas a facial scar may, in fact, qualify. If you or a loved one suffered an automobile-related injury, contact the Miami law firm of Pita Weber Del Prado as soon as possible to determine the options at your disposal to obtain reimbursement for your expenses and suffering. We have the experience necessary to analyze your situation, and determine the proper course of action to get you the compensation you deserve. Contact our Miami office today for an initial consultation.